The tuba player and composer Robin Hayward was born in Brighton, England in 1969. 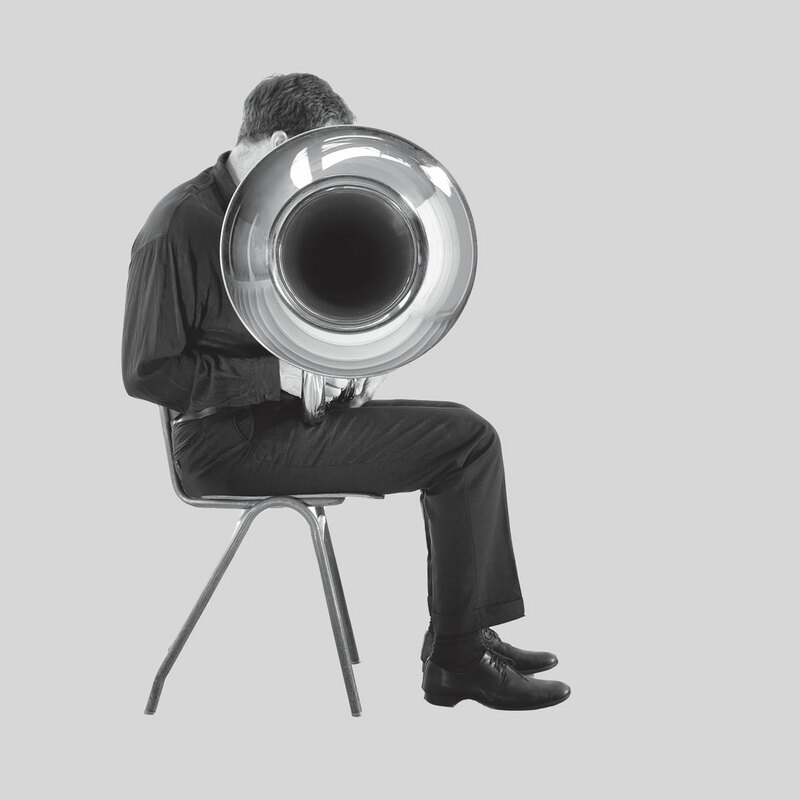 He has developed a specific approach to tuba playing, on the one hand treating the instrument as a labyrinth of tubing within which air may be trapped and redirected, and on the other hand as a collection of individual tube lengths, tuned harmonically in whole number proportions to one other. His compositions reveal a conceptual and empirical approach towards musical instuments, draw on the musical qualities of language and explore just intonation and microtonal tuning systems. In 2005 he founded Zinc and Copper Works, a chamber ensemble dedicated to exploring tuning possibilities and noise production on brass instruments. He plays as a soloist and in numerous ensembles, including Phosphor and Kammerensemble Neue Musik Berlin. As interpreteour of contemporary classical music he has played works bx Alvin Lucier, Luigi Nono, Christian Wolff, Peter Ablinger and many more (many of them were written specially for him). Since 2003 he has done freelance work with the Rundfunk-Sinfonieorchester Berlin and Berliner Sinfonie Orchester. He played in numoerous groups rar (1997 – 1999), with Axel Dörner and Radu Malfatti, roananax (1998 – 1999), with Axel Dörner, Annette Krebs, and Andrea Neumann, Das Kreisen (1998 – c. 2000), with Burkhard Beins and Annette Krebs, Barry Guy’s London Jazz Composers’ Orchestra, member from 1994 – 1998 and is now active in at least following groups/ projects: Phosphor, Dörner/Hayward Duo, Hayward/Krebs Duo, Dörner/ Capece/ Hayward trio and quartet Amber.